Improves Flow in Extreme Temp. 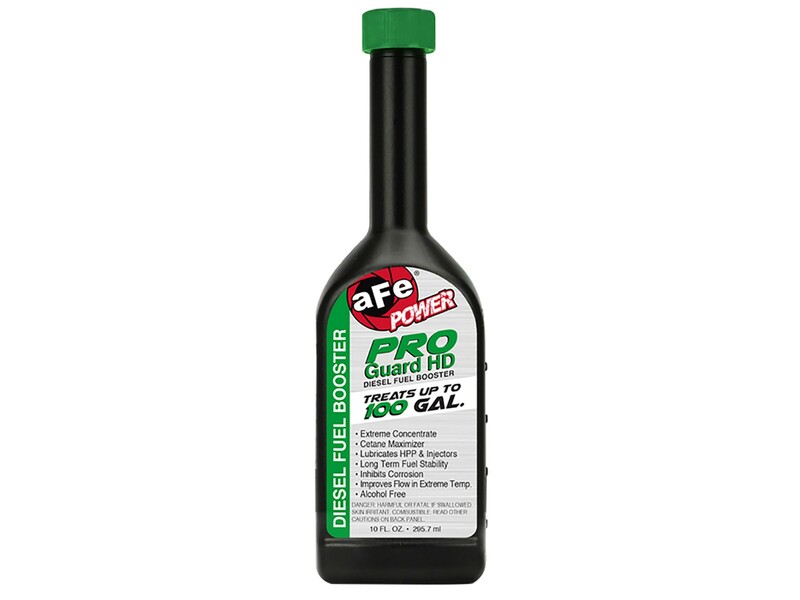 aFe POWER Diesel Fuel Booster restores engine performance and protects diesel fuel systems from performance-robbing deposits. Ideal for all diesel engines. Will not harm after treatment devices or EGR systems and contains no alcohol. This all-around fuel improver includes a concentrated dose of the most important additives to keep your diesel engine running at its peak tune. Additives include a Cetane Maximizer to improve performance and a Lubricant for the HPP (High Pressure Pump) and injectors. The Fuel Stabilizer provides for long term fuel stability by keeping your fuel tank and engine free of rust and corrosion while an anti-gel formula helps to prevent diesel fuel from clogging the fuel lines, tank & filters and works to improve flow in extreme temperatures.